I keep my eyes open for bikes suitable for bobbing/chopping and if there's any money available pick them up for customers. 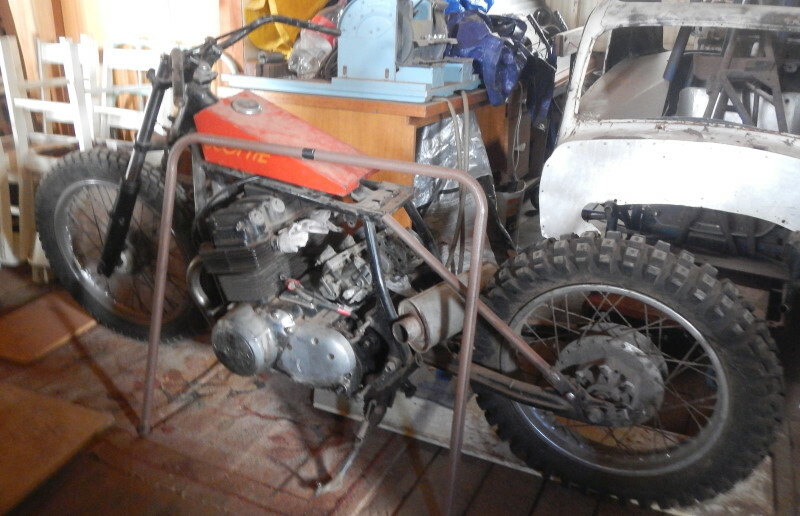 Motor is said to be good (I haven't started it yet) and bike was ridden to Phillip Island last year. Has regio in SA. 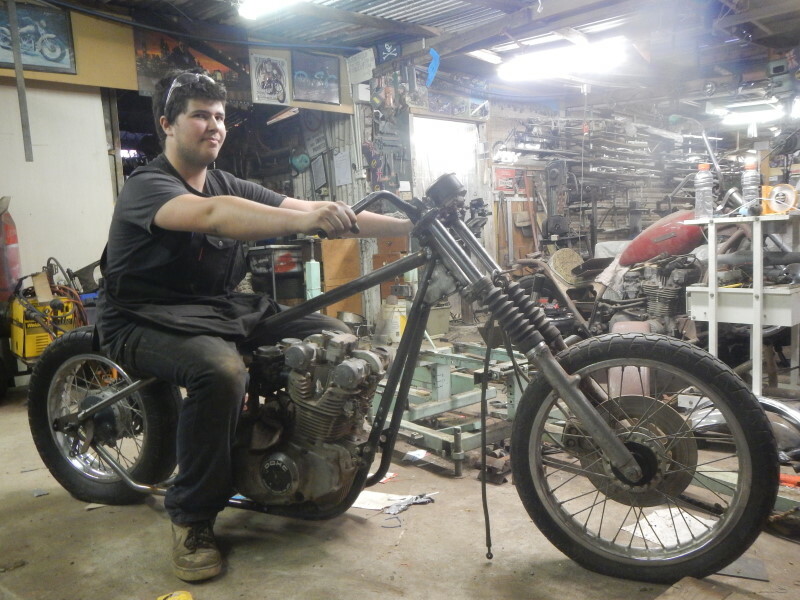 New owner would most likely keep motor and forks for the project bike and sell off the rest to recoup costs. $850.00 I could sell the whole bike for over $1000, but it is here for you blokes who want an economical project. 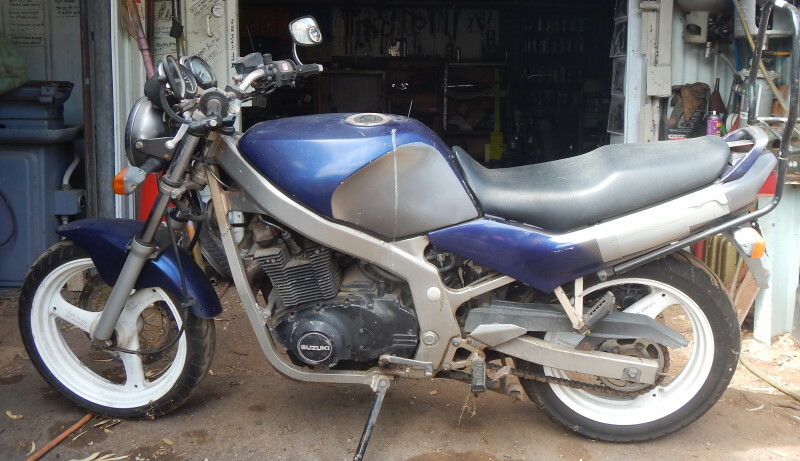 Suzuki 500E needed battery and new petrol and runs very well. CB750 in workshop waiting it new chopper master to start work. Another CB750 chopper likely for sale here in the next few weeks. I'm going to check it out today.